In nature, an old tree stump left behind after a beaver or a lightning strike would be left to the bugs. Termites, beetles and ants take up residence in old stumps. Mold and fungi will start to grow in it after it is exposed to rain or other moisture. Some trees can resist these invaders, growing new shoots and roots. Unfortunately, that means a tree stump is either going to be an unsightly mess in your yard, or it’s going to keep growing and pose a risk to your foundation, sidewalk, or fence. The solution is to grind out the tree stump. Professionals use specialized equipment that can grind down the stump to the ground, so insects and bugs aren’t attracted to anything above the soil line. The best equipment can deal with stumps of any size. How long it takes to grind your tree stump will depend on its size, soil and species. Small, young trees with three-inch diameters might take fifteen minutes. Larger trees could take two hours or more. Stumps in rocky soil will take longer to grind than stumps in fine, sandy soil. You also have to consider a tree’s species. It will take longer to grind through hardwood trees than softwood trees, simply because their wood is harder and resists grinding. The lists below include some of the most common landscaping trees in California yards. If you can’t identify your tree’s species, or can’t find it’s species on the lists, your arborist can help. It may take longer to grind down these hardwood trees, but the benefit is that you’ll get some high-quality mulch from the ground-up tree stump. Is Tree Stump Grinding Right For Me? Stump grinding is a relatively quick process, but it isn’t the best option for everyone. 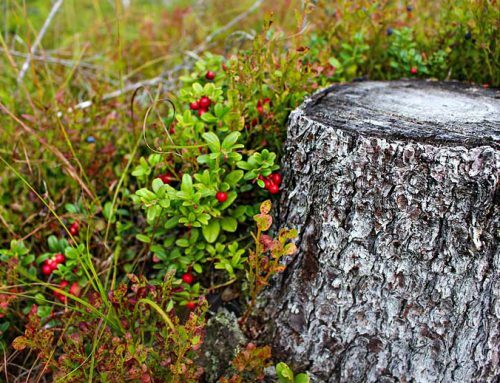 Some tree species will continue to grow even if their stump is ground down because the roots will continue to collect nutrients to support new shoots. Other factors might contribute to a tree’s ability to re-grow or keep their roots alive. For example, if you have mature trees of the same species as the stump on your property, the mature trees may keep the stump’s roots alive. It is best to get advice from a professional arborist to be sure you’ve selected the kind of tree stump removal that is best for your circumstances.